A pair of Atlanta’s leading physicians –– Georgia Urology’s Dr. Walter Falconer and Dr. Scott Miller ­­–– stepped up to the plate with baseball great Ken Griffey Sr. to talk about the research, diagnosis, and treatment of prostate cancer. 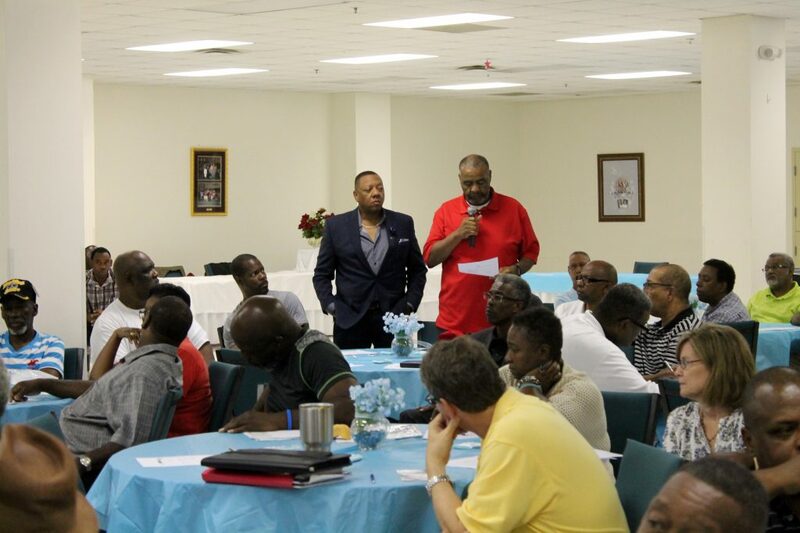 This free-to-the-public event, entitled Bayer Presents Community Conversation on Prostate Cancer Featuring Men Who Speak Up, took place 9 a.m.-2 p.m. June 24 at Beulah Missionary Baptist Church in Decatur, Ga. 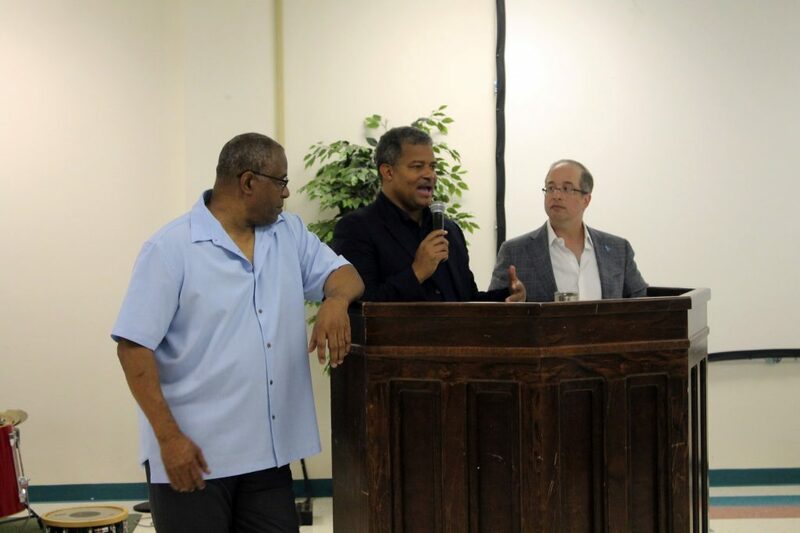 The proactive, health-conscious occasion included complimentary prostate cancer screenings and lunch. In addition to Georgia Urology, other sponsors of the event included the Georgia Prostate Cancer Coalition, Radiotherapy Clinics of Georgia, and WSB News 95.5 and AM 750. The event kicked off with a community conversation lead by Dr. Walter Falconer and Dr. Scott D. Miller of Georgia Urology as well as Ken Griffey Sr. Dr. Falconer discussed the prominence of prostate cancer in African American men. According to the Prostate Cancer Foundation, African Americans are 1.6 times more likely to develop prostate cancer than Caucasians, and 2.4 times more likely to die from the disease. After Dr. Falconer, Dr. Scott Miller explained the latest in prostate cancer research and clinical trials, particularly a form of prostate cancer screening called PSA screening. Georgia Urology physicians, including Dr. Miller, recommend that when men reach age 40, they consider a prostate cancer screening with a PSA test because statistics reveal that one in six men will be affected by prostate cancer in their lifetime. Finally, Ken Griffey Sr. wrapped up the talk by leading the audience through his journey and fight against prostate cancer. 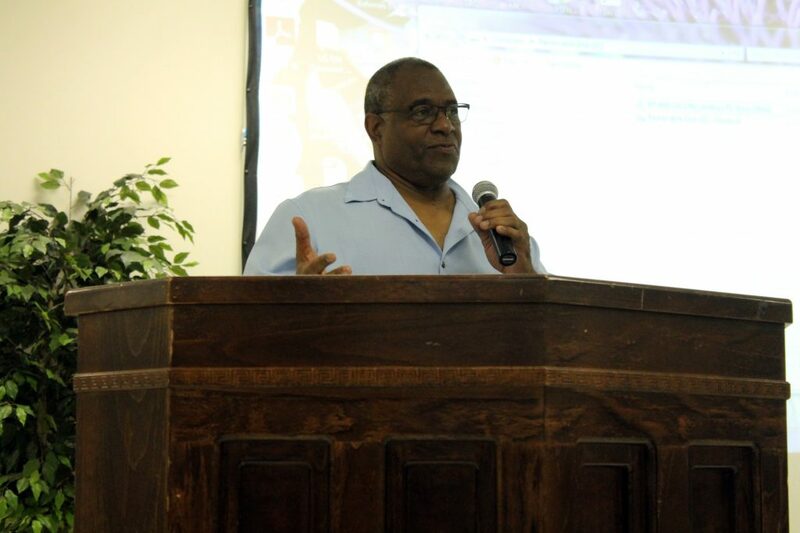 Ken Griffey Sr., former Cincinnati Reds outfielder and three-time Major League Baseball All-Star, currently serves as a spokesman for Bayer’s Men Who Speak Up program, traveling the country and discussing prostate cancer. He encouraged men to become part of the collective voice of prostate cancer and take action against the disease. Afterward, all three men lead a Q&A session together, during which members of the audience had the opportunity to stand up and share their personal experiences, as well as ask the doctors questions about prostate cancer. In addition to his talk and Q&A session, Griffey also posed for photos with guests. 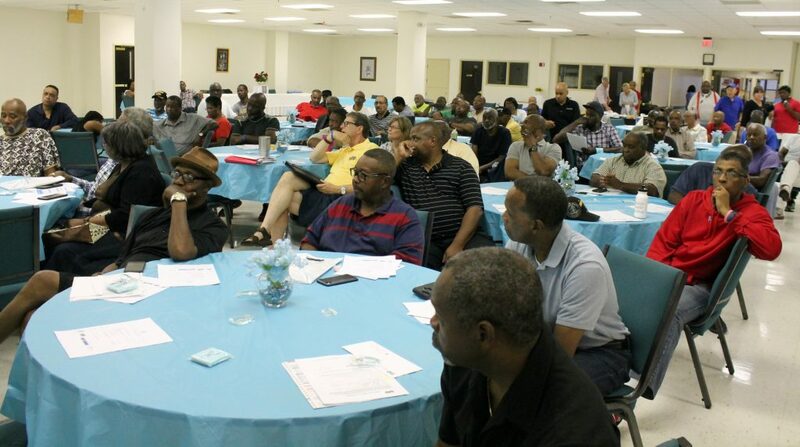 A testimonial session followed featuring prostate cancer survivors and caregivers. 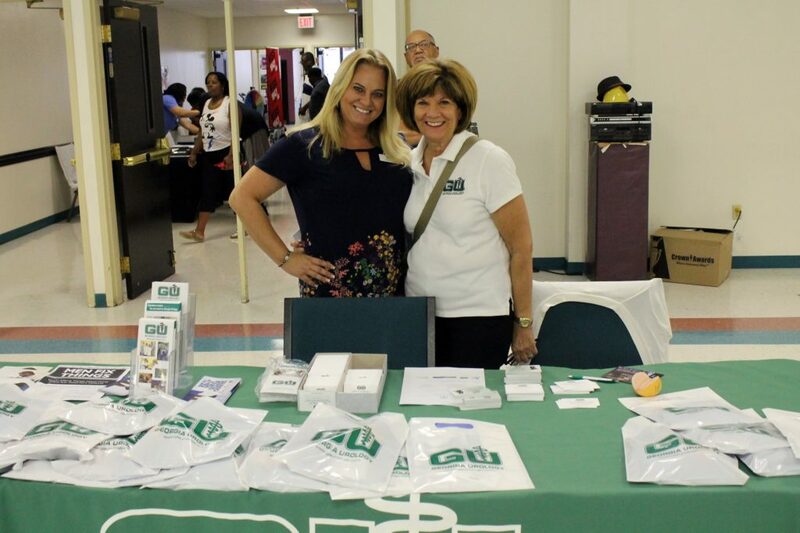 Georgia Urology also hosted free prostate cancer screenings at the event. 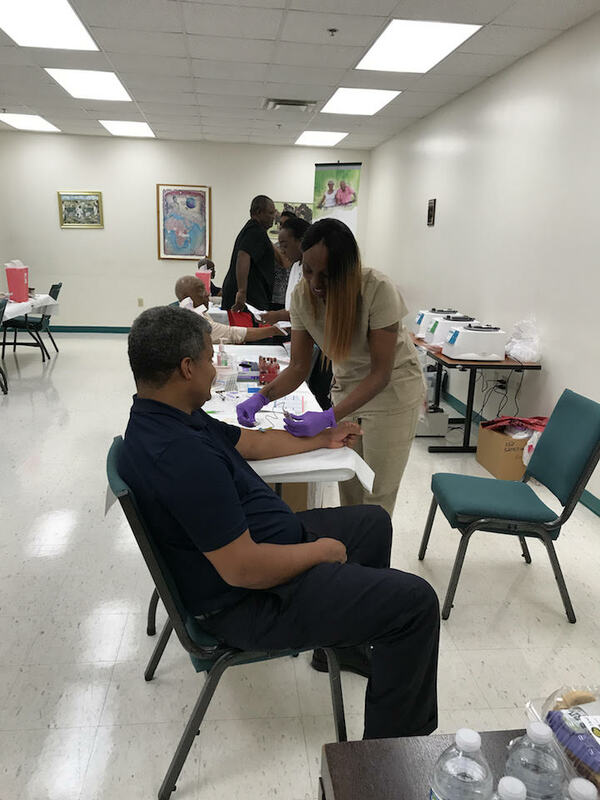 Volunteer staff from Georgia Urology were on hand to conduct the screenings, which an incredible total of 227 men participated, including Dr. Falconer. Out of these 227 men, 29 received results that promoted them to further investigate their health with their doctors. Georgia Urology is very proud that this event not only educated and spread awareness of prostate cancer but also saved lives. Georgia Urology is the largest urology practice in Atlan ta and throughout the Southeast. Georgia Urology has 30 locations and six ambulatory surgery centers. The practice is comprised of more than 43 physicians, many of whom are fellowship-trained and hold advanced specialty training in oncology, laparoscopy, infertility, incontinence, and pediatrics. Georgia Urology’s physicians use state-of-the-art diagnostic equipment and advanced treatment techniques, including robot-assisted technology and minimally invasive procedures, to manage all urological problems in men, women, and children. It is the practice’s mission to deliver the highest possible quality of care to all patients and to be the preeminent urology practice in the region.